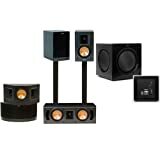 Klipsch's most affordable Reference bookshelf speakers yet What's better than great sound? Great sound that doesn't break your budget. 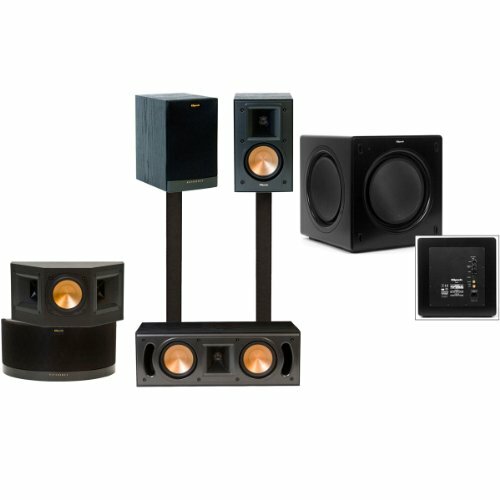 The RB-41 II speakers easily fill smaller rooms with powerful, lifelike Klipsch sound at an entry-level price. Building on the previous Reference models, the Series II have updated drivers and a new crossover system for even more spacious sound. They're equally impressive whether you're watching a movie or listening to music. Horn technology for front row sound All Reference Series II speakers feature a redesigned version of Klipsch's famous horn-loaded tweeter. 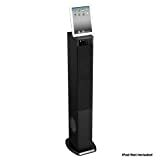 This design uses a flared opening in the enclosure to project precise, clear high frequencies toward your listening area much like the effect of cupping your hands around your mouth when you speak. The new slope of the Series II horns means your movie soundtracks and music will sound more open with improved dynamics and efficiency. All in all, you can expect powerful, front row sound that's crystal-clear at all volume levels. Smallest, most affordable Reference Series center channel Boasts incredible craftsmanship and performance Highly efficient design produces more output using less energy Magnetically shielded drivers prevent TV interference Enhanced 1 titanium horn-loaded tweeter, dual 4 high-output woofers Dimensions: 5.4 H x 16 W x 9.1 D Beautiful wood-grain vinyl cabinet Despite its compact size, the RC-42 II center channel speaker proudly carries on the Reference Series legacy of no-compromise audio performance. With its exceptional clarity and engaging soundstage, the RC-42 II lets you hear every word, every detail of your favorite movies. The RC-42 II is complete with our proprietary Tractrix Horn technology which produces a unique combination of precision, clarity and effortless power. Finished in a beautiful black ash woodgrain vinyl veneer, the RC-42 II is guaranteed to complement any decor. Smallest, most affordable Reference Series surround speaker Delivers smooth coverage and dynamic detail Highly efficient design produces more output using less energy Dual 1 titanium horn-loaded tweeters, single 4 high-output woofer Dimensions: 5.75 H x 12.7 W x 5.8 D Keyhole bracket with threaded insert for easy installation Sleek, modern cabinet Despite its compact size, the RS-41 II surround speaker proudly carries on the Reference Series legacy of no-compromise audio performance. 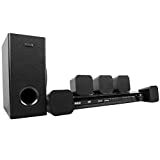 Because it brings a high level of sonic detail to rooms with less-than-ideal configurations, you'll be swept away by your entertainment every time you push play. The RS-41 II is complete with our proprietary Tractrix Horn technology which produces a unique combination of precision, clarity and effortless power. Finished beautifully with matte black vinyl, the RS-41 II is guaranteed to complement any decor.